At	B & J Roofing, we are proud to include a	20-year workmanship warranty on every complete reroofing job that we perform. This warranty is part	of our commitment to quality and to your complete satisfaction! Our workmanship is covered against leaks for a period of 20 years. Our workmanship warranty is transferrable one time. 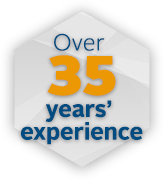 Our material warranties range from 20 years to a lifetime. Our Snohomish County and King County roofing company has been in business	since 1976, and we have an	A+ rating from the Better Business Bureau. In addition to the roof installations and replacements that we offer,	we also offer a wide range of other services, such as roof inspections,	repairs, and maintenance. Call our office at (425) 868-1818 to learn more about our services and our warranties!